So... Following a camera workshop, the kind folks from Casio and My Fat Pocket allowed me to bring home and play around with their new Casio ZR5000 for two weeks! Picked the green (mint) beauty to bring home, and decided to bring it out when I go cafehopping with the BF at Craftholic Pop-Up Cafe!! I have always dreamt of having a Casio camera.. 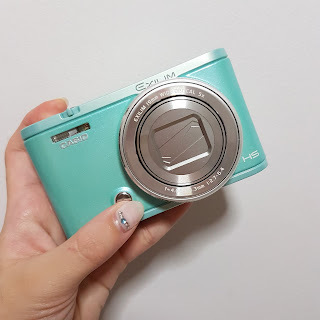 If you don't know, Casio is very very very popular for their selfie cameras, which might also be known as the Casio Exilim TR series aka 自拍神器. (It was always sold out when I wanted to buy it in the past). The make up mode of this series is really good, many of my blogger friends use this camera, and there is no need for editing at all - flawless skin that is milky smooth and pinkish! The newer series also has this beautifying tan mode, for those who prefer the sporty look.. Guess what, I heard that the new ZR5000 also has the same beauty mode as the TR series as well as a 180 degrees flip screen for selfies! Girls who love taking selfies will know that the postioning of the shutter button is very important since we'll be having our arms extended at a distance just to take a proper selfie.. One of my favourite thing about this camera is the additional front shutter button just below the lens, which is so so so convenient for selfies. On top of that, it is packed with a number of other functions and at like half the price of the TR series.. I have only tested out some common and more general functions of the camera during the weekends, there are just too many functions that I have yet to try! Also, this camera is very lightweight, the size and functions make it perfect for travelling. Wefie while waiting... See, I really love the make up mode of this Casio ZR5000, it gives us milky skin hehe! For the make up mode, there are 2 settings to use, one for skin tone (tan to light) and one for smooth skin, 12 levels to choose from for each setting. I used a moderate light tone and standard smooth skin settings for most of my photos.. Went around to explore the small cafe and to take photos of the craftholics decor.. 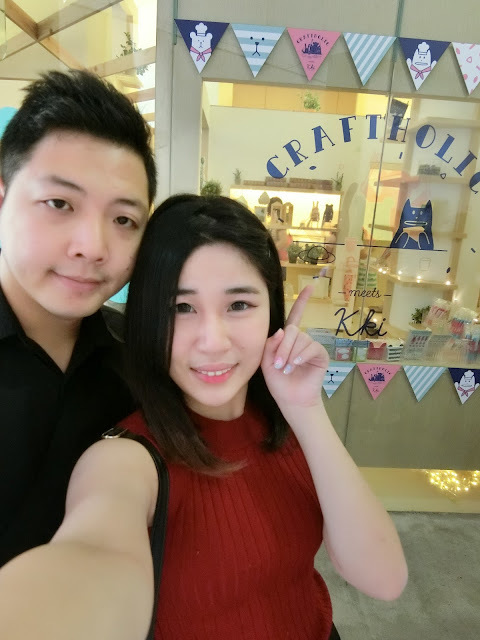 The whole place is really quite cute, craftholic fans will love it! 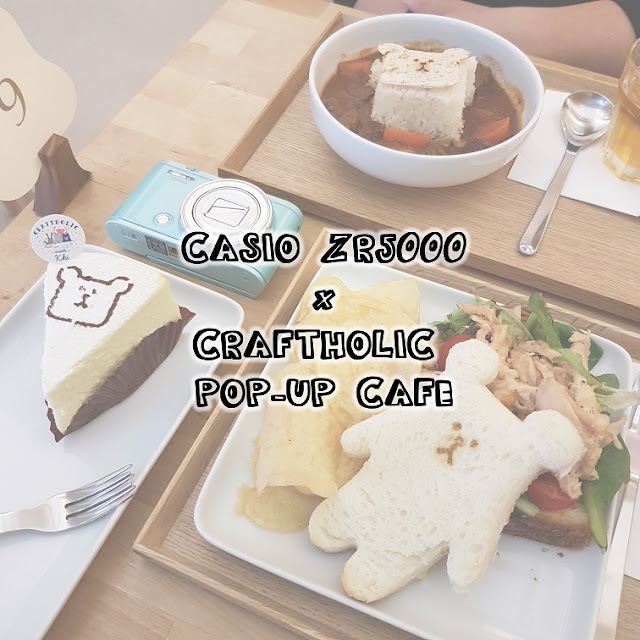 They also have some craftholic merchandise for sale, if you're interested~ I also tested out some filters of the Casio ZR5000 along the way.. To be fair, the cafe was quite dim, so I think the camera did well even though the lighting was not good!